COMBAT FORMATIONThe 29th Div., Brigadier-General Charles W. Barber commanding, going into action in Haute-Alsace sector. While the fierce battle raged around Soissons, action was heavy on all fronts. New divisions were getting the baptism of fire. 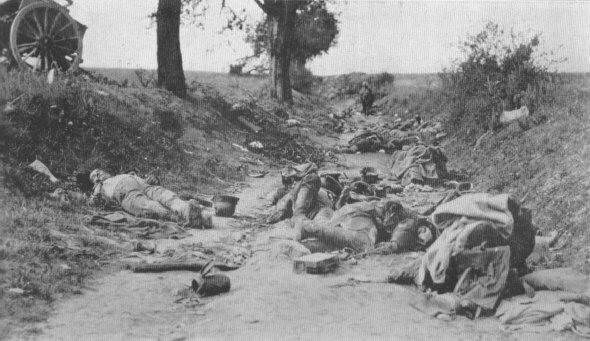 THE GORY ROADSunken road used by Germans as a trench and trench-mortar position against 16th Inf., 1st Div., Pleissy, France, July 18, 1918. 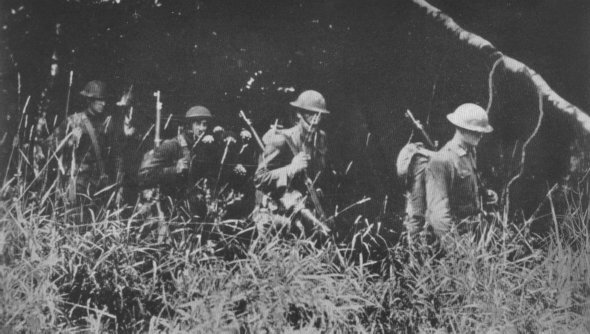 Aided by 1st French moroccans, Brezy-le-Sec was captured; Soissons was reached night of the 22nd.